Hyperconvergence has been receiving a tremendous amount of attention because it represents the next step in the evolution of IT resource delivery. This technology takes the idea of integrating compute, storage and networking that started with converged systems design and has improved on those architectures by adding deeper levels of abstraction and automation. Hyperconverged infrastructure (HCI) vendors promise simplified operation and the ability to quickly and easily expand capacity by deploying and launching additional modules; simplicity has been the key selling point for the HCI pioneers. 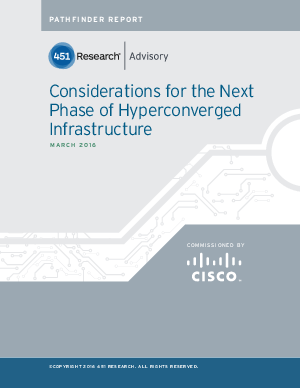 made to expand HCI deeper into the mainstream enterprise datacenter.